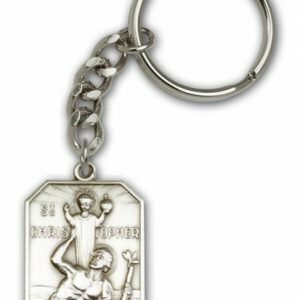 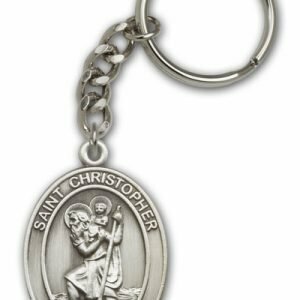 A solid pewter medallion of St Christopher on this key ring. 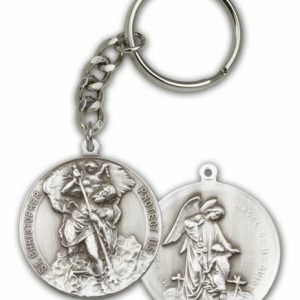 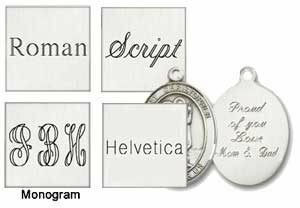 The total length is 3.5″ with the medal measuring 1 1/8″ around. 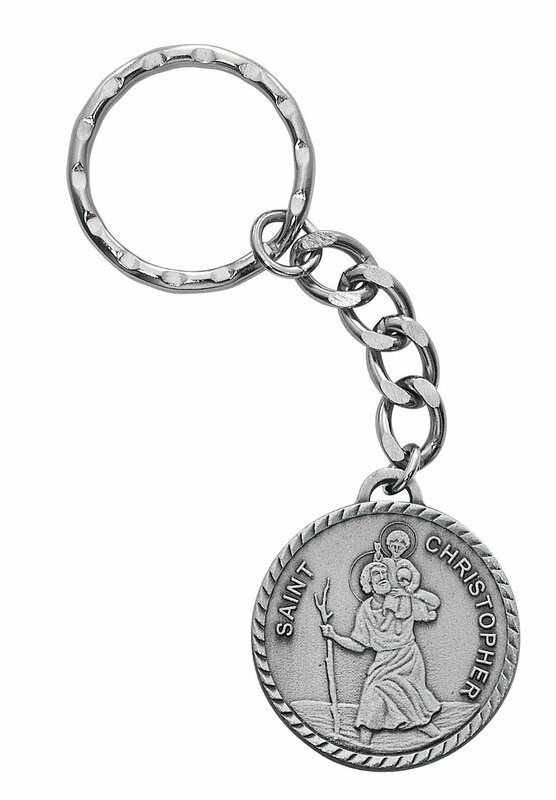 A great way to keep your keys safe and heavenly assistance close at hand. 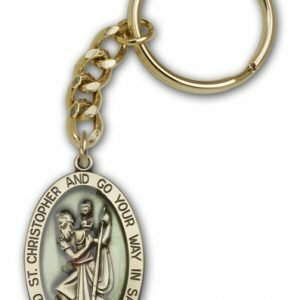 St Christopher is the patron of travels. 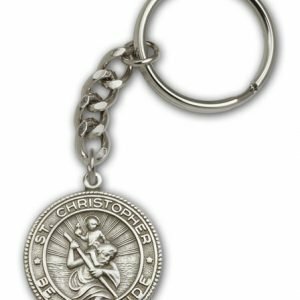 A solid pewter medallion of St Christopher on this key ring. 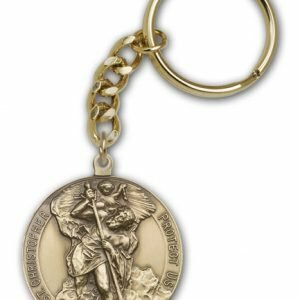 The total length is 3.5″ with the medal measuring 1 1/8″ around. A great way to keep your keys safe and heavenly assistance close at hand. St Christopher is the patron of travels.